Book “Babies” Need Lots of Prenatal/Prepublication Care! ~And a Giveaway! Welcome Carrie Fancett Pagels to the Inkwell! First of all, thanks for having me on again, Susie! I have an upcoming release, Saving the Marquise’s Granddaughter, that had so much help given to it that it feels like a seven to eight year birthing process for this novel! I got started on the book eight years ago when I did some genealogical research and discovered an interesting ancestor, Johan Adam Rousch, who had a memorial from the Sons of the American Revolution dedicated to him because nine of his sons fought in the war. I asked myself, what would compel a young man from the Palatinate of Germany to come to the colonies? And I began researching. For a year or two I got assistance from my wonderful local librarians at Yorktown Library, including a special reference desk librarian who steered me toward a huge volume of European history that addressed the impact of the Hundred Years War on Europe and in particular the Palatinate/Germany. I also got to spend a special afternoon at the University of Virginia Rare Books collection, a climate controlled environment where the librarians wore gloves to handle the books. I was able to read from some volumes that were specifically about Johan and his descendants and felt I got to “know” him better. I was also blessed to be able to spend many hours visiting a real Palatinate house at the Frontier Culture Museum in Staunton, Virginia, and was able to discuss mid-18th century Palatinate with some of the staff there. It allowed me to actually visit what would become Johan’s house and farm in the Palatinate! Besides researching, I spent a great deal of time on improving my writing craft. So I took every class that ACFW offered! Thank you to all the authors who have volunteered their time over the years! I “found” Camy Tang’s wonderful blog and began reading all her posts on writing and I took several classes from her for synopsis development. That was extremely helpful in getting a newbie ready to have the framework for writing the story. And I had my first experience with critique partners. I had some great help from my very first critique partner, and then joined a group that regrettably included primarily contemporary writers. Don’t believe people if they tell you although they don’t read or enjoy historical romance they can critique your work. It isn’t that you won’t get constructive feedback, but you won’t get the encouragement you’ll need from folks who enjoy reading your genre. Best to stick with writers in your own genre. But that experience gave me the impetus to join another critique group through the Fellowship of Christian Writers, which I belonged to for a few years. There I found critiquers who gave me the encouragement to begin submitting my work! So I went from little to no impetus from others that I was doing much right to being told I needed to start looking for an agent! And, thankfully, I soon met Joyce Hart, who later became my agent after Lena Nelson Dooley gave me my second professional critique, one during the ACFW conference and another later, and Lena offered an endorsement to Joyce. I was floored! Then the realization hit. I had to have my manuscript all completed and polished before I submitted it to Joyce. My FCW critiquers, in particular Vicki McCollum and Lynn Squire, helped me get started on organizing myself.Then God sent me Kimberly D. Taylor, a petite spitfire from out west who was in the Tidewater, Virginia, area for a few years while her husband completed some studies at Regent University. Every week we’d exchange chapters and return them to each other. Later, I agreed to also work with Sarah E. Ladd, Kim’s critique partner, who was entering the Genesis with a story that had already won accolades but, like mine, needed to be finished. The three of us tended my book baby as well as each others’! Then came the time I needed an editor’s help, and once again God blessed me by sending Susan Lohrer to help. She was an amazing editor and gave me so much insight into the more subtle, and some not-so-subtle, things I was doing wrong that my fellow newbie critique partners and I weren’t seeing. It was like having someone point out that your child shouldn’t really be dressed in mustard yellow nor would people caring for the child want to know certain “things.” I learned a lot and we all shared our thoughts on how to use the feedback for each of our stories. There is so much MORE that went into the creation of this upcoming release, but I hope this little bit is helpful to someone who is new to writing and wonders what it takes. Some people may tell you they read a ton of books in their genre and then sat down and wrote. That didn’t work for me, nor does it for most authors in my opinion. Working on my own isn’t my style, so I am very grateful God has brought me a lot of helpers and I hope I’ve been able to return the assistance, too! 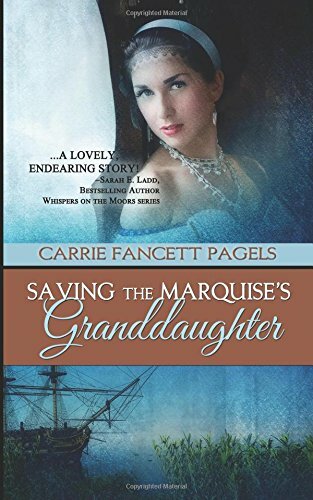 Saving the Marquise’s Granddaughter releases in ebook in early June (Pelican Books) and is available for pre-order now! The paperback will be available in July. Bloggers, please note the PDF will be available from NetGalley during the month of July for download for reviews. Giveaway: Winners choice of any one of Carrie's currently released books, choice of format (Kindle, Nook, or paperback). Answer the question to enter. Question: What experiences have helped your “book babies” along the most? Please leave a way to contact you (email address). Winner will be drawn at random at 12:59 pm EDT Thursday, May 19, 2016, and announced the following day. Void where prohibited. 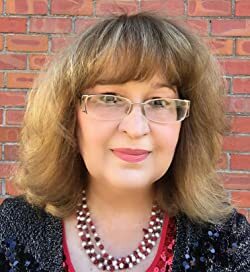 Carrie Fancett Pagels is a multi-published award-winning author of Christian historical romance. All three of her Christy Lumber Camp books were finalists for Family Fiction’s Book of the Year. Twenty-five years as a psychologist didn't "cure" her overactive imagination! She resides with her family in the Historic Triangle of Virginia, which is perfect for her love of history. Carrie loves to read, bake, bead, and travel – but not all at the same time! Thanks for having me on, Susie! I appreciate all the help I've had over the years, including being hosted on blogs! Blessings! Carrie, it's our pleasure to have you here. You are such an encouragement to aspiring authors, and I appreciate all you do! I loved hearing your story. Thanks so much for sharing! Hi Deb! Great to see you here! Love the Inkies and always love to hang out with Inkies at conference, too! We're so glad to have you back as a Quiller!!! Hugs! When I started writing I had no idea it would take a village to get each story from conception to arrival! And I'm still learning!!! You amaze me, Carrie, with all you accomplish!!! Blessings for this next release! The number of people it takes is truly amazing, isn't it, Niki?! I always need so much help and God sends me the right people at the right time (like you helping me with critique when I lost my critique partner!) so I'm really blessed! I was talking with a friend who had written three 100,000 work novels and a novella in 27 months and she was experiencing some burn out and I thought about it and was thinking -- wow, no wonder! Early in my career I was told to get "three in the can" meaning three novels fully written and ready, which would make life easier later, and it really has. That was great advice! Blessings! That is advice I had never heard before. Three complete manuscripts. Were they all in a series, related, or completely stand alone? This looks like a great book. What a lovely cover! DeAnna if you get down to Colonial Williamsburg, VA, or if you have ever been to the Historic Triangle, you'll recognize much of the setting! Blessings! Oops, sorry, I was thinking about The Steeplechase, DeAnna!!! The research for Saving the Marquise's Granddaughter took "forever" that is why I always love to read author's "book of their heart" which is usually the debut book or first book because you know a ton of research went into it! I hope you'll get a chance to read Saving the Marquise's Granddaughter! I am so new to all this writing with an intention to publish. I never realized just how complicated and involved it is. The people I have "met" have gone a long way in moving me forward. God really does orchestrate the people you need to walk into your life when you are working for His purpose. Blessings on your writing journey, Crystal! God does indeed send people to help each other through. I wish you the best! If you'd like to be entered to win a copy of one of Carrie's books, be sure to leave your email address! Everything you said has been so true for me, Crystal! I didn't realize until I got going, just what this was going to take and how much help God would need to send me! Hugs! Carrie - Hugs right back! Thanks, Crystal! You're entered into the drawing! I appreciate you sharing your experiences, Carrie. My first blog hop experience was with you and the other Christmas Cheer authors. You sure put a lot of work into making that a success. You really are an inspiration. I wish you all the best with your continued writing successes. Thanks, Anita Mae! Was it really? I couldn't do any of that without God's help as I am disabled from my RA. It was so wonderful being part of that Guidepost Books publication with such a gorgeous book set!!! Weren't those Cup of Christmas Cheer volumes fabulous? As always, I glean something new every time I read your work, whether it is one of your books or comments on a blog or article. You, Dina Sleiman and others in the writing group I attended in Hampton Roads have encouraged me both in person and online to keep on keeping on. My baby is growing slowly but surely. Thanks for all your help! Praying all goes well with everything Sandy!!! Missed you on Saturday. Praying for you!!! Hi Sandy! I am so glad to hear you found a group where you are encouraged and challenged. Blessings to you and your book baby! Oh--and if you'd like to enter the drawing, please come back and leave your email address! Thanks! Great post. It's amazing how much research goes into a book. I am not an author, I have no idea how you authors get your idea for a story or how you develop the characters. Would love to read one of your books. Thanks, Dianne! It sure does take a lot of people and this isn't even the half of it! I hope you'll read some of my books and find them inspired by God. Blessings! Hi Dianne! Writing a book is one of those things that is partly a solitary endeavor, and at the same time, takes a village. I love how encouraging, supportive, and generous many authors are with one another. It's fabulous when authors build up one another! It does take perseverance, Alison! Best wishes to your daughter! My son also has lots of stories to tell and I imagine he'll publish some day, too. Thanks for coming by! Blessings! I love how you're encouraging your daughter, Alison! She is a blessed kid to have you for a mom. Congratulations to Alison who won one of Carrie's books! Thanks to all who entered!